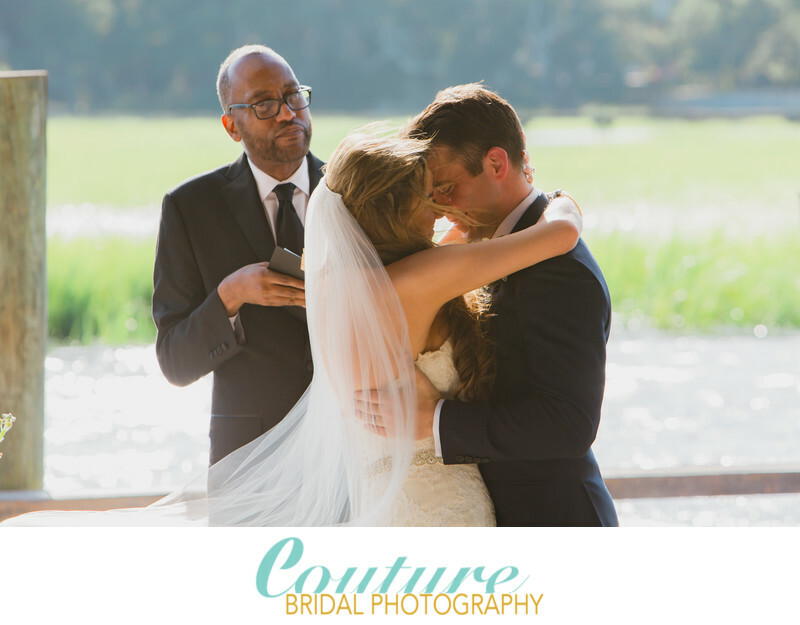 Couture Bridal Photography offers the Best Wedding Photography in Boca Raton! Hire the best Wedding Photography for your Boca Weddings! Boca Raton Florida is Palm Beach County's most southern city located on the borderline of Broward County. Boca Raton borders the cities of Deerfield Beach, Coconut Creek and Parkland to the south from east to west. Boca Raton is known for its beautiful beaches, luxury shopping, golf clubs, wealthy population and high-end hotel resorts that host luxurious weddings. Boca Raton, translated to spanish means, "rat mouth" and is one of south Florida's most recognized cities. Couples planning weddings in Boca Raton expect the best wedding photography to record the most important moments of their wedding day. The importance of sharp, colorful and dynamic wedding photos that tell a story is important to brides and grooms getting married throughout Boca Raton's various resorts, hotels and golf country clubs. Couture Bridal Photography is the most preferred wedding photography studio with the best wedding photographers in Boca Raton, Florida. Brides and grooms choose us as the most trusted, preferred and recommended professional photographers to capture their wedding day with the best photos to document their wedding day. Boca Raton has many wedding photographers and studios that offer wedding photography and Couture Bridal Photography is the best rated professional wedding photography and bridal portrait studio offering the most distinct and artistic wedding photography in Boca Raton and throughout Palm Beach County, Florida. Alfredo Valentine, is the owner and founded of Couture Bridal Photography. As a master photographer with over 25 years of photography training and experience in a variety of genres, Alfredo is known as the best wedding photographer in Boca Raton, as well as the State of Florida. Couture Bridal Photography, founded in 2008 by Alfredo Valentine, is the only boutique luxury wedding photography studio in Boca Raton. As the top rated wedding photography studio in Florida, Couture Bridal Photography is the most trusted name in professional wedding photography throughout South Florida. Brides and grooms who reside in Boca Raton or plan to visit and marry in Boca Raton from around the world recognize Couture Bridal Photography, as one of the best wedding photography studios in the United States. A team of Boca Raton's best wedding photographers and videographers offer the best wedding day photography and video experience at weddings on a weekly basis in Boca Raton. Brides and grooms planning weddings in Boca Raton choose their photographers based on cost and wedding photography style of the photographers. Couples choose us most for their Boca Raton wedding photography because of our distinct story telling photography style. Our style of wedding photography is a mix of photojournalism, editorial, illustrative, fashion and glamour photography to capture every moment and make every bride and groom standout like a star. Best known for our authentic style of wedding photos, Couture Bridal Photography is known around the world for the most elegant, romantic and timeless wedding photography. We use a variety of lighting and natural lighting techniques to photograph weddings in a stylish, fun and dynamic approach to create the most spectacular wedding images sure to become keepsakes and heirlooms for generations to follow. Couples planning their weddings in Boca Raton typically want to have an engagement photography session at many of Boca Raton's beautiful parks, beaches and resorts. Additionally, some soon to be brides and grooms request engagement photos at public locations such as Mizner Park or at the Boca Raton Museum. Engagement sessions can be a formal or informal photography session where the couple can create images that can be used for invitations, save-the-dates and as decor at the reception. Many couples also have custom sign-in books made using their favorite engagement pictures. Engagement photography can set the tone and mood for an upcoming wedding. Couture Bridal Photography is the most commonly contacted professional photography studio couples choose in Boca Raton to provide the best engagement photography in Boca Raton and other locations in South Florida. Brides and grooms to be who contract us to photography their weddings receive a complementary engagement photography session as part of their wedding photography collection. This complimentary engagement photo session is an opportunity to experience having a professional photography session which helps make the wedding day less stressful and natural. We strongly recommend couples have an engagement photography session for a complete and comprehensive wedding photography experience. Many couples in and around Boca Raton choose to have a destination wedding rather than getting married in Boca Raton. These couples are typically looking to combine their wedding and honeymoon at a far off romantic location. Many couples have their destination wedding in the Caribbean, Mexico, other States, South America and Europe. Some affluent couples have destination weddings in places like Bora Bora, Fiji and Guam. Destination weddings in far off worldwide locations is a very popular choice for many couples who want a completely different wedding day experience. Couture Bridal Photography is known as one of the worlds top destination wedding photography studios. We offer destination wedding photography services worldwide and we are the most trusted destination wedding photography studio in the United States. Couples in Boca Raton and throughout the United States call upon us to provide the most elegant, romantic and timeless destination wedding photography anywhere worldwide. Couture Bridal Photography is frequently called upon to provide the the best photography in Puerto Rico, Colombia, Mexico, Los Angeles, Charleston, New York City, Brazil, Argentina, the Caribbean, England, Italy, France, Romania, Germany and the South Pacific to name a few places. We offer the best rates and pricing for destination wedding photography coverage anywhere around the world. Couples getting married in South Florida often request wedding portrait photography in Boca Raton. Wedding portrait sessions are planned photography sessions with just the bride and groom in a more editorial style photo shoot. Couples choose wedding portrait sessions if they decide to spend their cocktail hour during their wedding day with their family or have a small ceremony. Wedding portrait photos are usually done the day after the wedding day and can incorporate a trash the dress photo shoot. Wedding portraits are the best way to get the most dramatic and artistic wedding photos of the bride and groom without the pressure and restrictions commonly encountered during a wedding. Couture Bridal Photography offers day after bridal portrait photography or wedding portrait photo sessions as part of our wedding photo coverage for couples who desire a completely artistic wedding photography experience. First look weddings are an option many couples choose for their wedding day for a variety of reasons. The first look wedding format allows the bride to be revealed to the groom prior to a wedding ceremony. Couples choose this option instead of groom seeing the bride for the first time during the ceremony when they want to spend their cocktail hour with their family and friends, have a shorter wedding schedule or want their portraits photographed when their hair, makeup and attire is fresh. This is a popular option for couples getting married during the hot summer months in South Florida. The first look wedding photography format allows a lot of flexibility for a wedding day timeline and allows the photographer to work with the bride and groom when they are at their freshest. Boca Raton is a popular city with facilities large enough for cultural weddings. Indian weddings are now becoming more prominent in Boca Raton and Couture Bridal Photography is the best wedding photography studio for couples go Indian culture planning a traditional Indian cultural wedding. Indian weddings are typically 2-5 days long with a hundreds of guests. Indian weddings have many rituals and traditions that are strictly adhered to and involve multiple locations requiring highly skilled professional photographers to cover. Couture Bridal Photography is Boca Raton Florida's premiere Indian wedding photography studio with the experience, skill and style necessary for outstanding Indian wedding story telling wedding photography. Couture Bridal Photography is also the preferred destination wedding photography studio most hired for Indian weddings in Mumbai, Agra, New Delhi, Hyderabad, Kolkata and Goa. Couture Bridal Photography has a team of 5 professional photographers who specialize in photographing Indian weddings in Boca Raton, the United States and India of any size. Boca Raton Florida has a large Jewish population and Jewish weddings take place any synagogues throughout Boca Raton. Jewish weddings are religious ceremonies following Judaic law, traditions and rituals. Jewish weddings are momentous occasions that culminate in elaborate celebration, dance and song. Jewish weddings are a sub speciality of Couture Bridal Photography with our expensive experience photographing Jewish weddings in Boca Raton and Isreal. Couture Bridal Photography is the best wedding photography studio in Boca Raton Florida. A team of the most creative photographers lead by Alfredo Valentine, is the most passionate and experienced group of photographers couples choose most for their treasured wedding day photography. As the top photography studio in Boca Raton, we have the experience, skill, equipment and knowledge to photography any wedding, at any locations throughout Boca Raton and destination weddings worldwide. Location: 501 E Camino Real Boca Raton, FL 33432. 1/200; f/7.1; ISO 100; 200.0 mm.